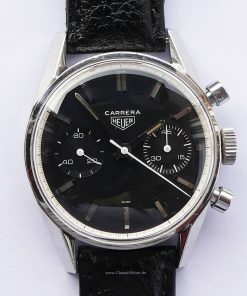 This elegant and very popular model of the Carrera 45 with Cal. 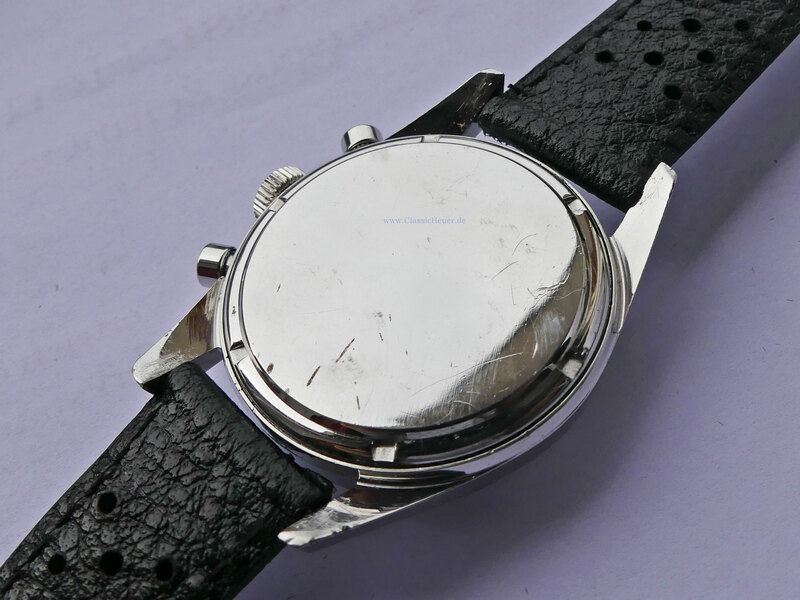 Valjoux 92 from the 1960s is in a worn but good condition. 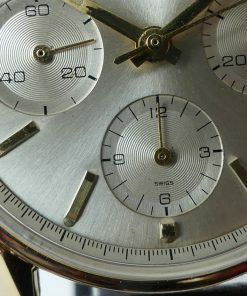 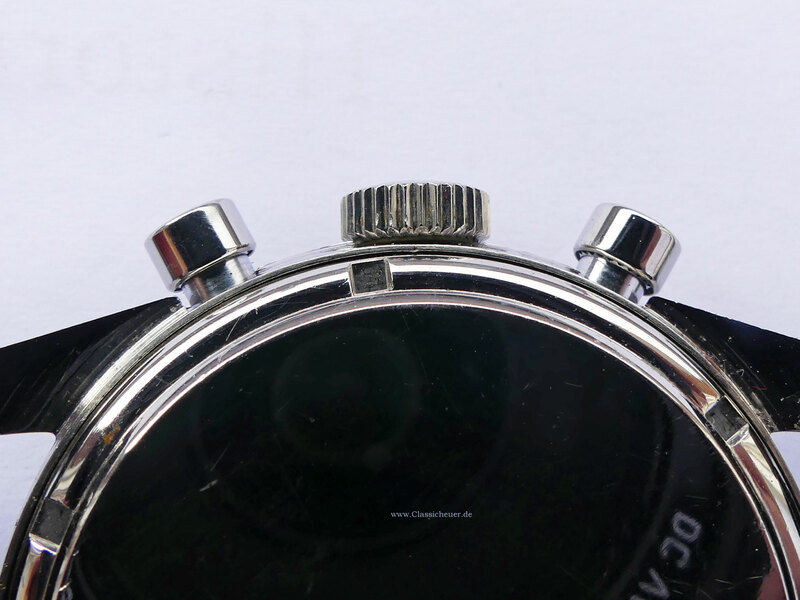 The manual winding chronograph ref. 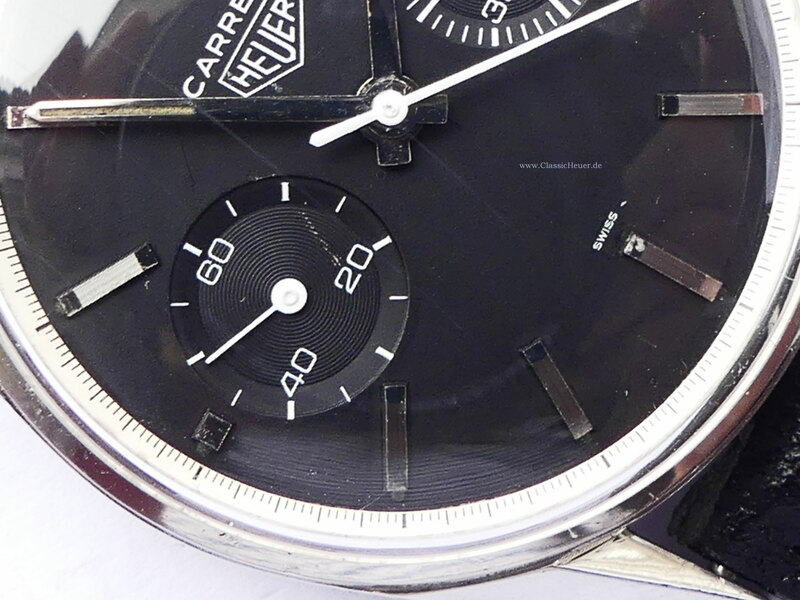 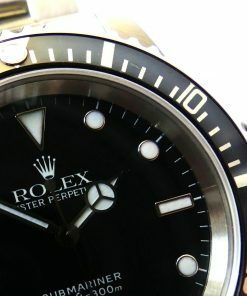 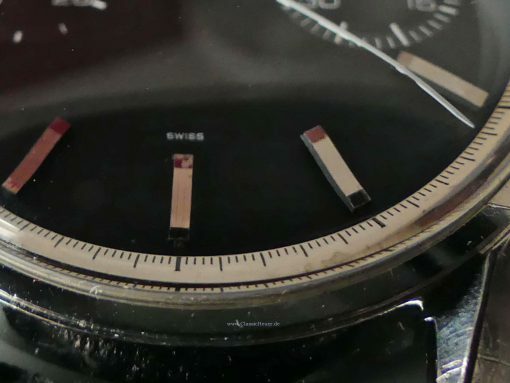 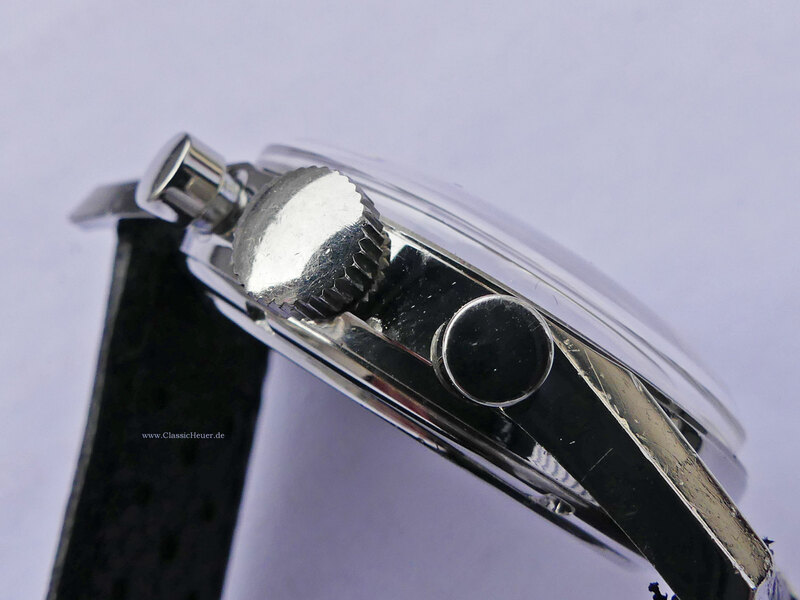 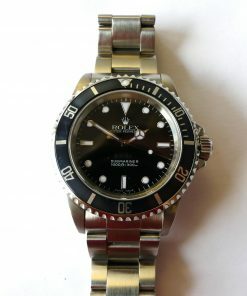 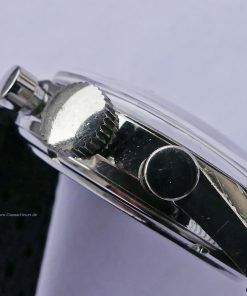 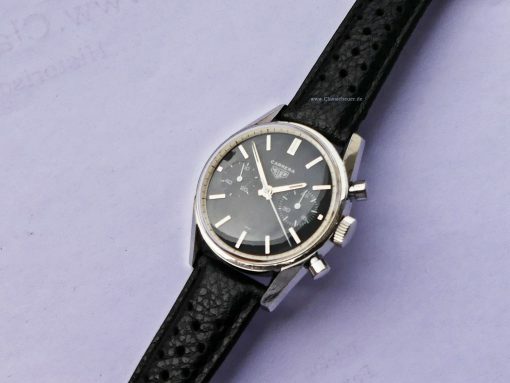 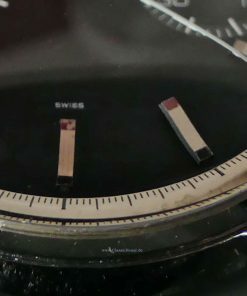 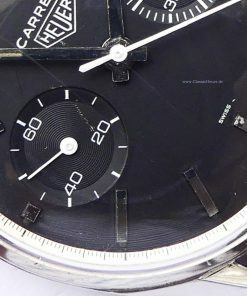 3647N has a black dial with two black registers is a very early model from 1963. 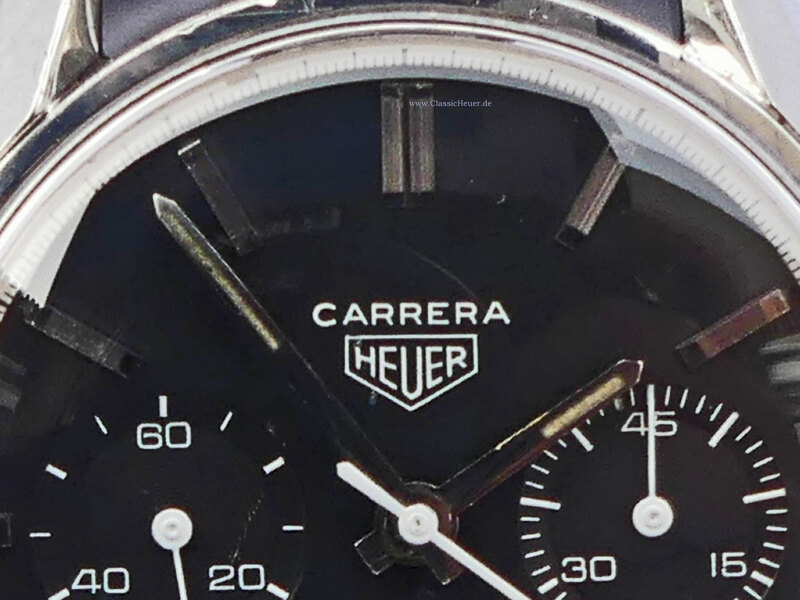 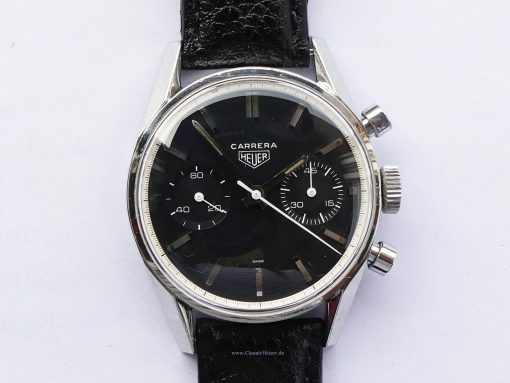 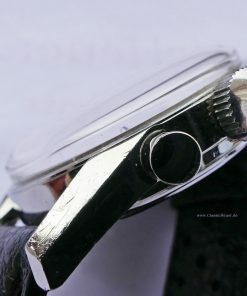 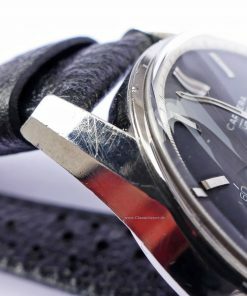 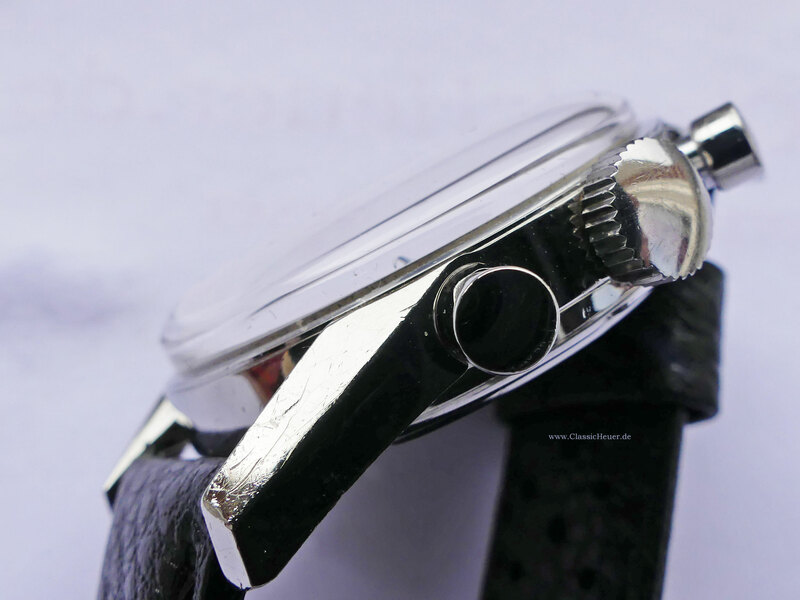 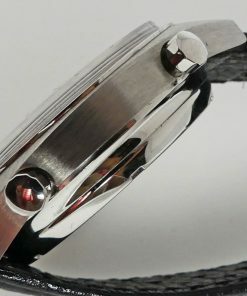 In the 1963-69 years, the mechanical hand-wound chronographs of the Carrera series were characterized by clear optics with easy-to-read stop times. 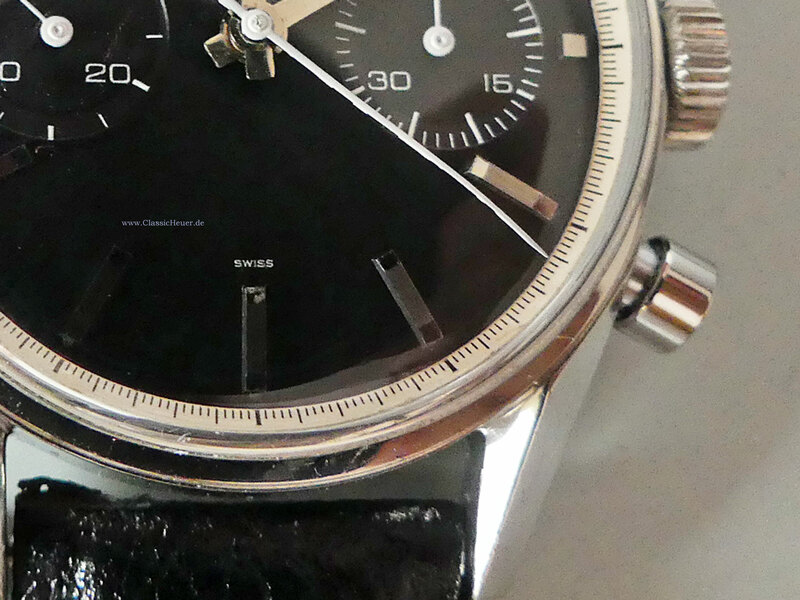 With original tritium luminar on the hands. 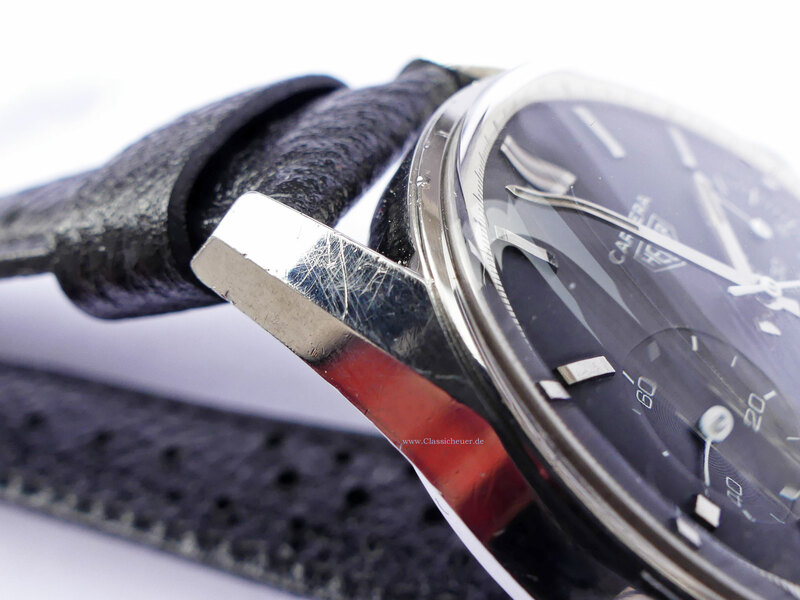 Authentic and unpolished condition. 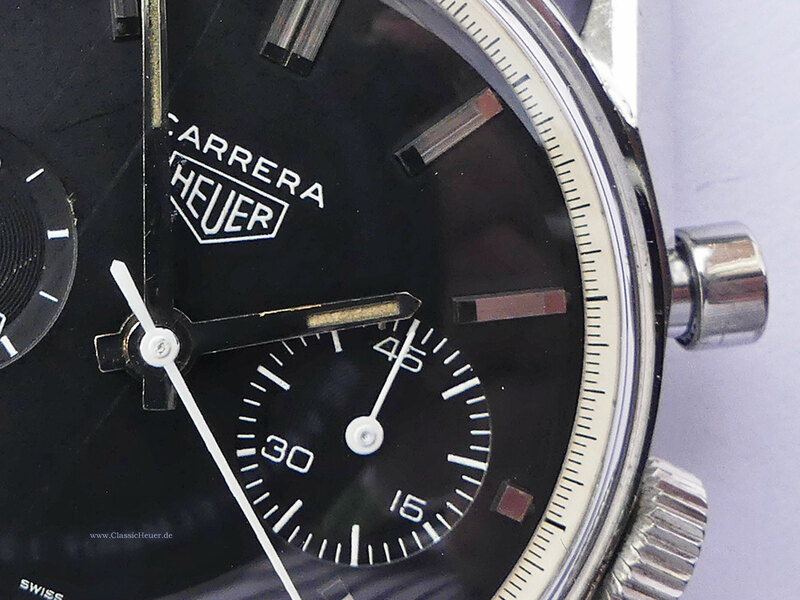 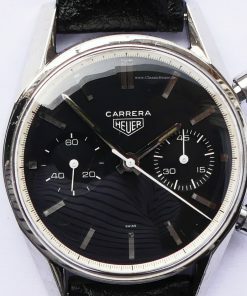 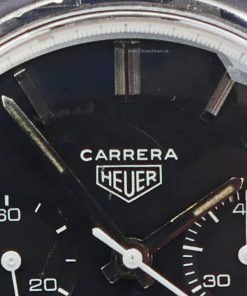 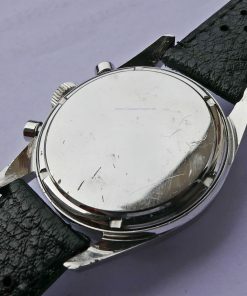 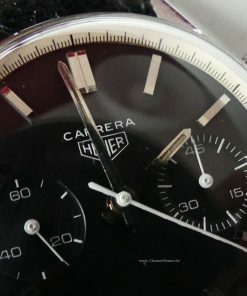 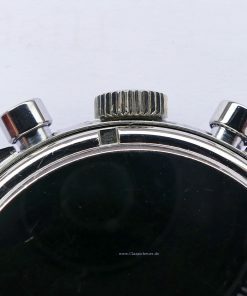 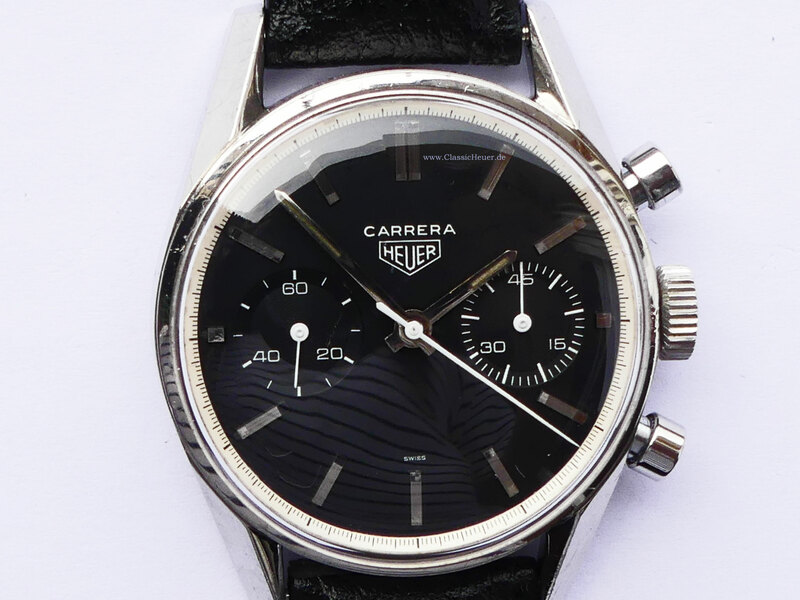 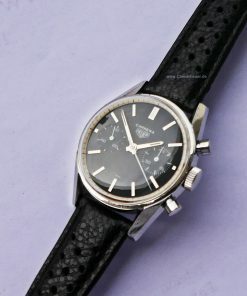 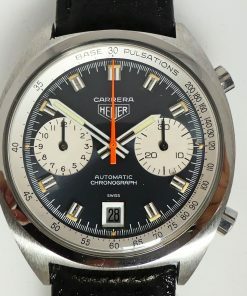 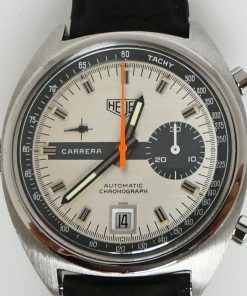 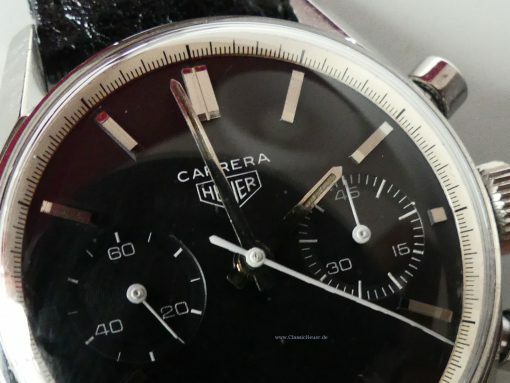 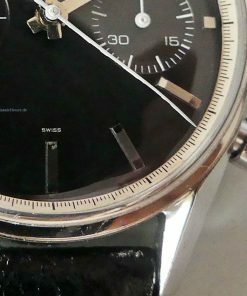 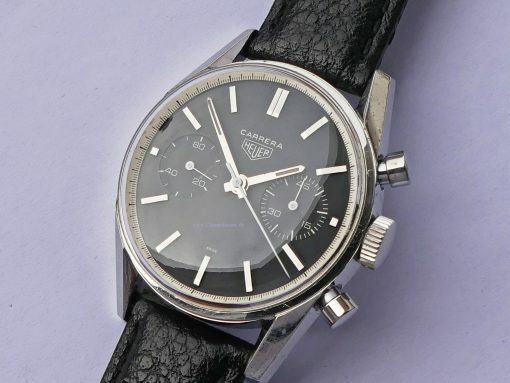 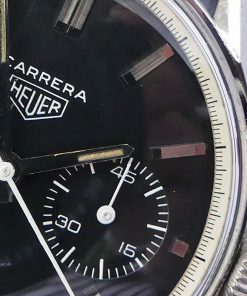 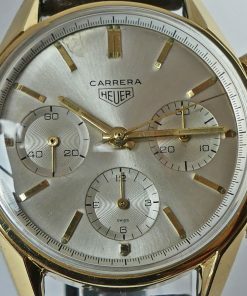 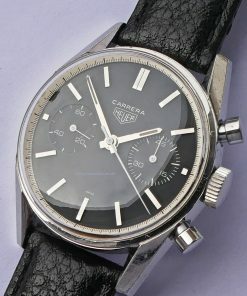 Early model with unsigned Heuer crown.